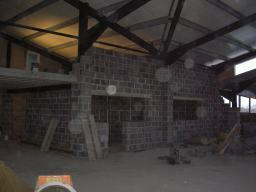 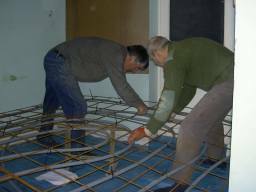 The internal walls of the smaller rooms were built up and nearly finished, and the floor of the Youth Hall above the new toilet area was prepared for installation of under-floor heating. 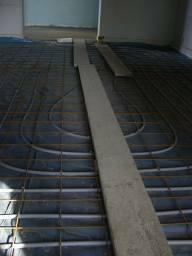 Underfloor heating was installed and a new floor was laid in the Youth Hall which was opened up again after 6 months of restricted use. 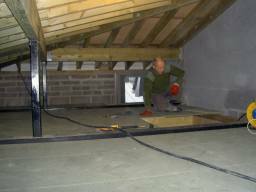 The loft above the TLC room was floored with T+G chipboard. 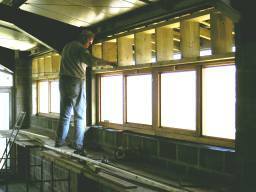 Hardwood window frames were installed along the east wall and more wall blocks were laid. 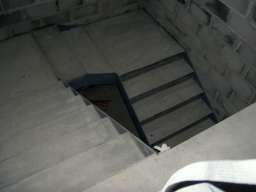 We installed a staircase linking the old Youth Hall and the new lower level main church. 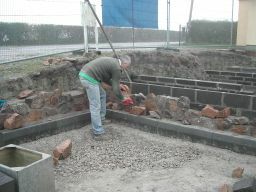 Road drains were dug out and work began on a new car parking area below the new building. 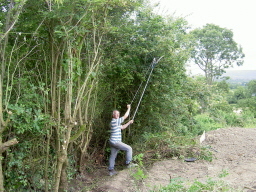 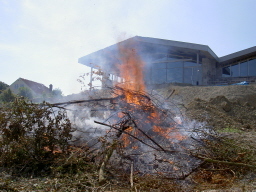 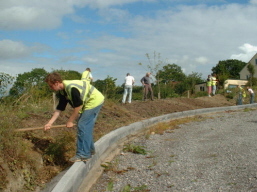 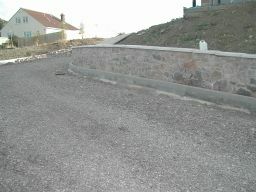 More kerbstones were laid for the carpark and hedging was cut back to prepare the lower roadway. 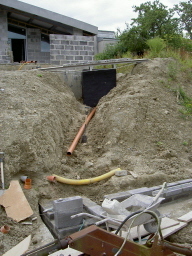 Further manholes were dug out and cast to link the drainage system for the new building. 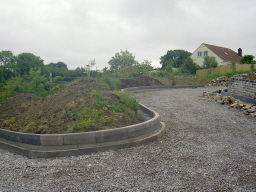 Further drainage works were completed and work continued on the carpark areas. 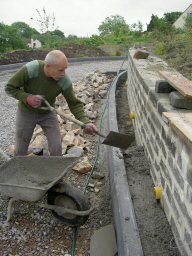 Major works ceased for the summer break. 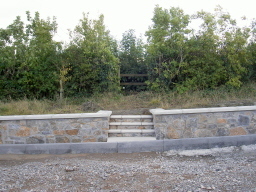 Stone walls and access ways continued to be built around the site. 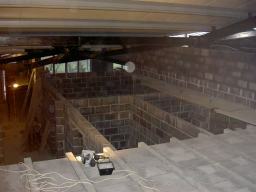 Some work was also done on the stairway down into the new basement. 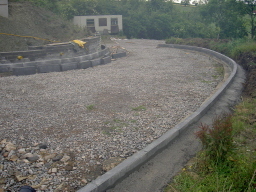 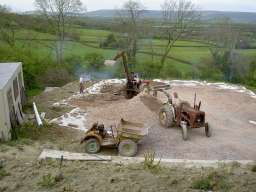 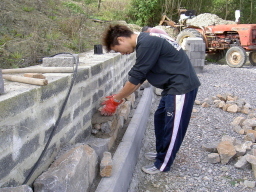 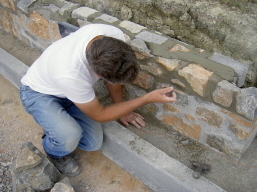 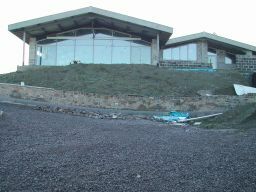 The stone walls were built up ready for the carparks and site roads to be surfaced. 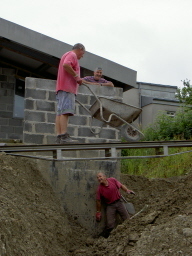 More stone walling around the new drop-off area of the car park where we also began work casting the stairways down to the main entrance.